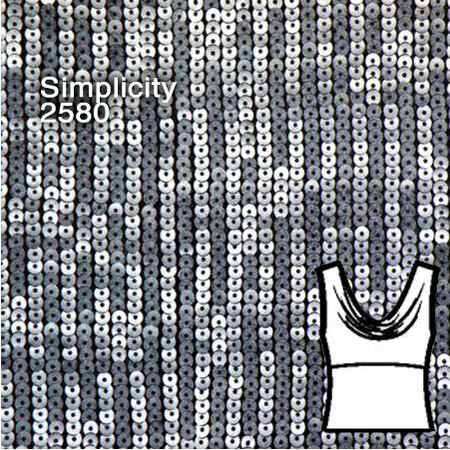 …and a cowl-neck sleeveless blouse from Simplicity 2580 (which is a dress pattern that I modified before to become a very versatile top). I always pictured these two fabrics together, and I am loving the resulting outfit! 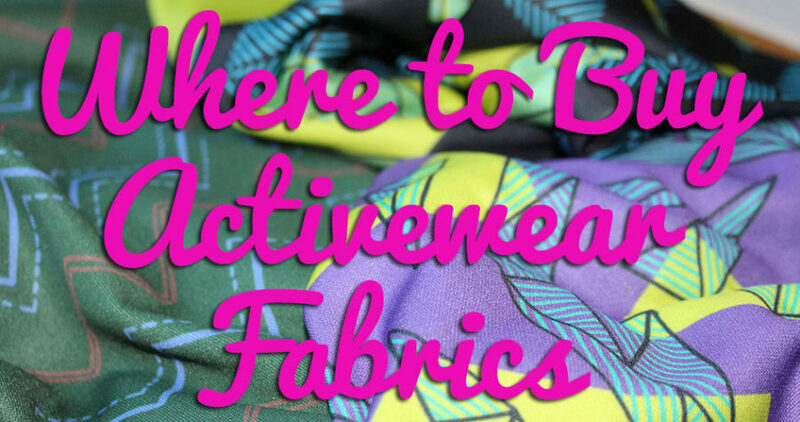 I really think I got it right in matching both the fabrics and the patterns! I originally saw it as club/party wear, and it turned out that I finished it just in time for a big party on Saturday night! No, no, the boat hasn’t suddenly spawned a huge staircase – these photos were taken at the Upminster Golf Club, where we were out celebrating James’s sister’s 40th birthday. As Teddie pointed out in the comments, with such a voluminous skirt, I really needed to make the top slim fitting to balance it out. 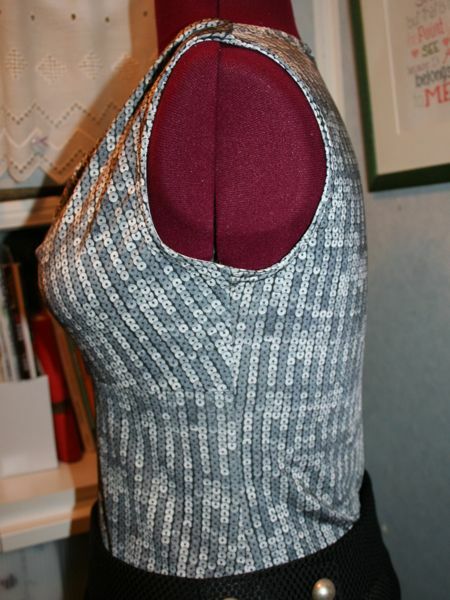 So I went back to this pattern for its perfect cowl neck, and extended the back piece, and created a new lower front piece to make it a sleeveless top instead of a dress. The top inside out, so you can see my clean finish! 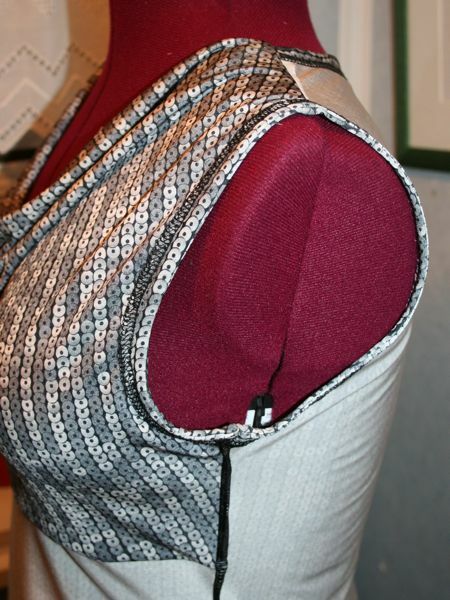 I described how to make the super-neat seam finishes the last time I made this top, and this time I only had to add on seam binding of the armholes after everything else was assembled. It’s only the second time I’ve made this pattern but it’s definitely a TNT for me now – I sewed it in about 2 hours flat and love the cowl! 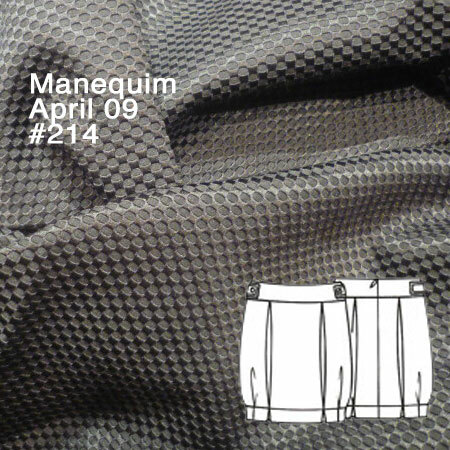 I love the silhouette of this skirt – Manequim magazine call it the “egg skirt” and I can see how it’s got an egg shape, because it bubbles out in the middle and nips in again just above the hem, thanks to a band of topstitching and 4 darts from the hemline. 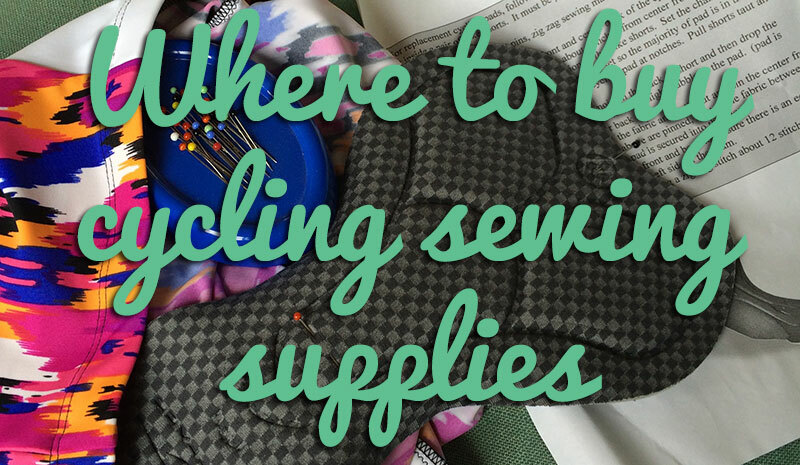 Here’s those pleats – I sewed as close as I could to the pressed edge to keep them perennially crisp! 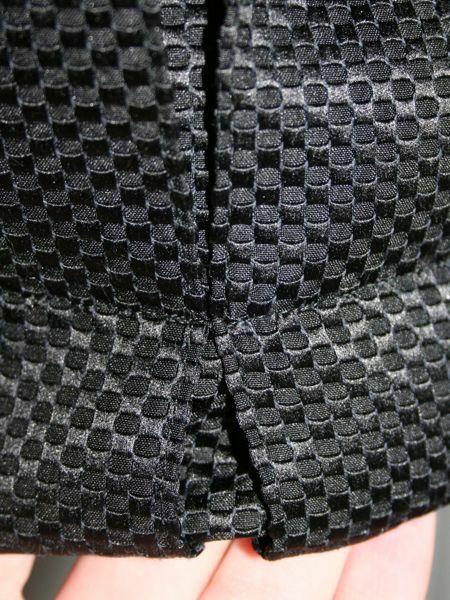 There are button tabs on the side waistband, though not double layered as it appears to be in the tech drawing (hrm). 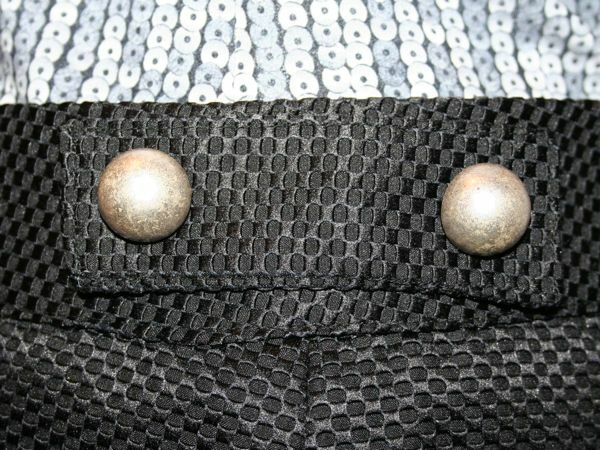 The silver domed buttons on the side waistband tabs are the same as I used years ago on my velvet jacket! 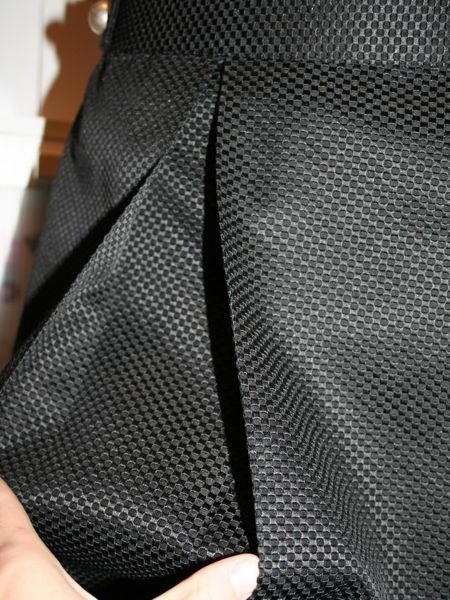 Here’s the skirt inside out. 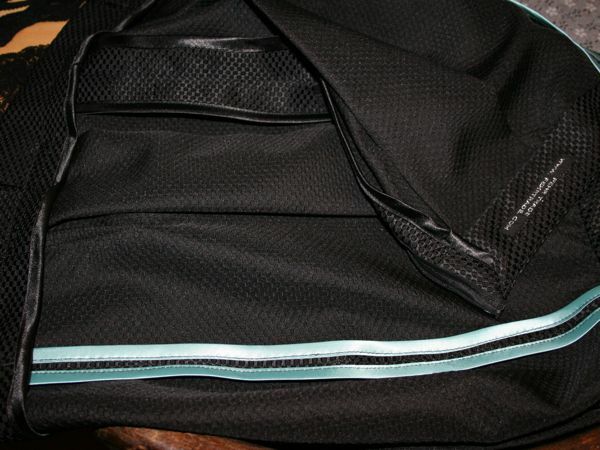 I didn’t want to line it as it’d create loads of excess fabric inside, but the techno fabric ravelled all over the place, so I instead chose to bind the seam allowances with satin bias tape (some leftover from my Patrones duffle coat, and then I had to go buy more and finished the rest of the seams in black). The waistband on this skirt was a bit funny since it was one piece (no side seams), but it was curved nicely and fit fine. Since this was my first Manequim pattern, I made a 46 just to be safe but took an inch out of the back waistband during the first fitting so a 44 should be perfect on me next time! 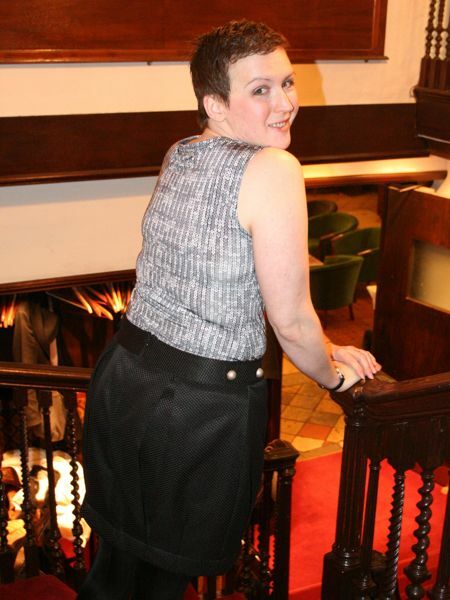 The shaping of this skirt comes from the four deep pleats (2 front, 2 back) and four darts from the bottom edge to give it a tapered silhouette. 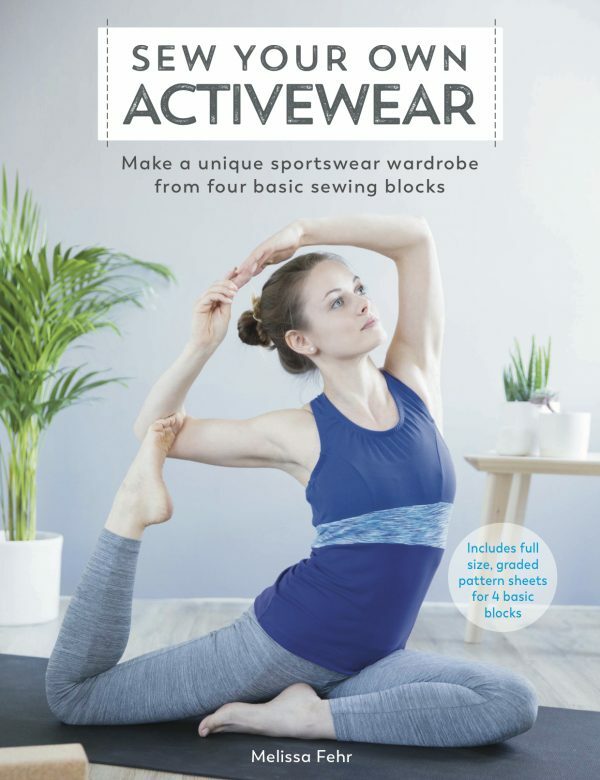 Otherwise, it’s just a basic straight skirt pattern and looking at the pieces, it’d be a doddle to draft this yourself (which is probably for the best since I doubt anyone else outside Brazil has this magazine…). 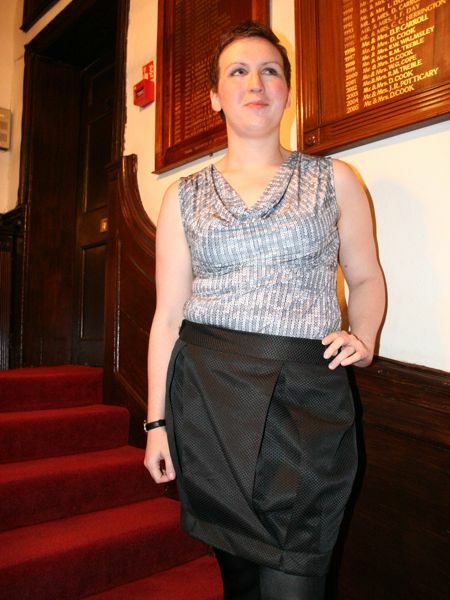 The shape of this skirt is surprisingly very flattering while standing, walking, dancing, etc, but it doesn’t look so fabulous sitting down as the pleats open up. 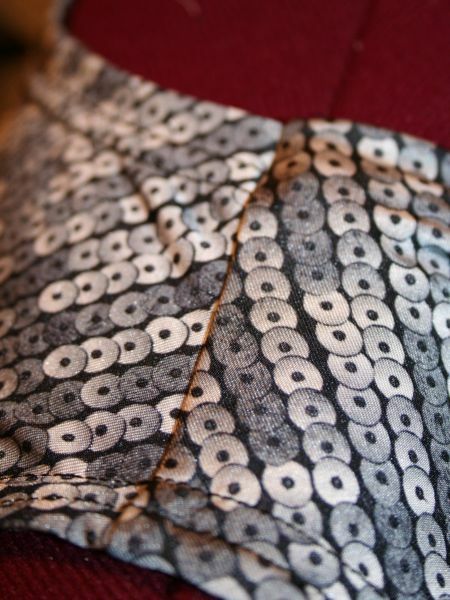 Thanks to my topstitching the pleats crisp, however, everything falls back into place easily when I stand up again! 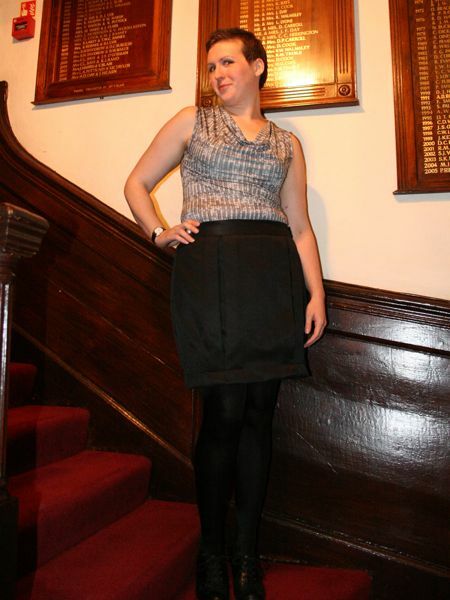 The real star of this skirt is the amazing unique “techno fabric” I bought from Totally Fabrics – it’s a black mystery fibre with an alternating round and square checkerboard satin woven in. I only bought 1m and this skirt used pretty much all of it so I wish I’d bought more for a biker jacket, too! I’ve decided on the Patrones 272 jacket (the lower one) and the Vogue dress, and if I can create some sewing Tetris magic, squeeze the Knip skirt out of the grey tweed, too! 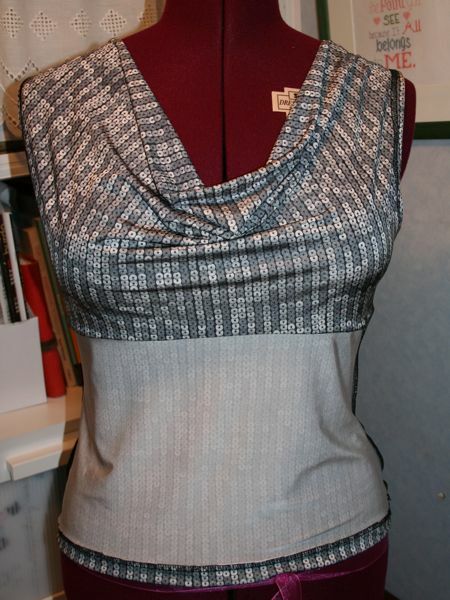 Separator image Posted in Gallery and tagged with designer, knit, manequim, simplicity, skirt, top.